100 Experiences Of A Life Well Lived? 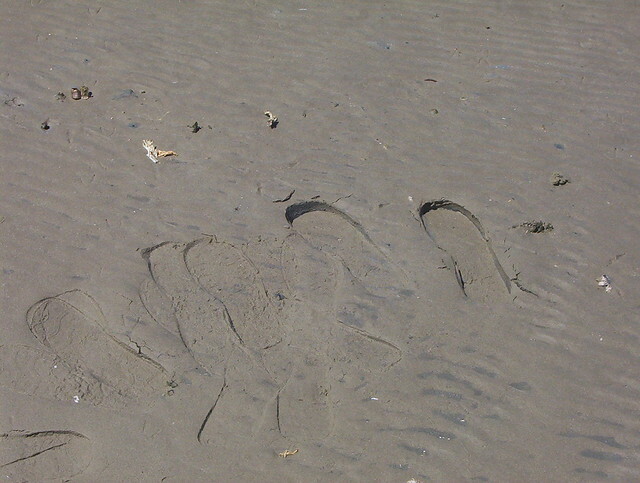 I live on the beach on Hindmarsh Island and I needed a picture of footprints and photographed heaps of bird footprints but none of them really turned out any good and then I realised that my own footprints made a better impression. In the top lefthand corner of the picture are two barnacles. They are tiny. To play, you simply post a photo on your own blog that represents the theme. These are snapshots that you might have taken on a trip, with your family, or in your home. It is important to use only your own photos.